Many people think that the Korean tech giant, Samsung is the first company to launch the foldable phone. We understand this as being the big name, anyone can believe it. However, this is not true. The foldable smartphones race had started years ago. Almost all big companies are working on flexible smartphones. Samsung is not alone in this race, LG Foldable phone will also land soon. When people were anxiously waiting for Samsung to launch its foldable device, an unexpected smartphone maker had taken the lead. A Chinese company Royole revealed FlexPai at CES in Las Vegas. FlexPai is the world’s first foldable phone. Later Huawei launched Mate X which won everyone’s heart leaving all the smartphone giants behind. However, FelxiPai is not that good looking when compared to Samsung Galaxy FOld and Huawei Mate X. One cannot even decide if the device is a phone or a tablet tough the company termed it as a phone that looks like a small tablet. It is basically a 7.8-inch device that runs Android. One can fold this AMOLED display, a gap can be seen between two halves of the screen. The worst thing is that the device is very heavy but can be easily stored in a purse. Unlike both the Galaxy Fold and the Huawei Mate X, the FlexPai is rough around the edges. Tough its good that Royole has brought a foldable device before the tech giants like Samsung and Apple but sorry to say the device is not up to the mark. The Price of FlexPai with 128GB of storage is $1,318, whereas for 256GB of storage, the price is $1,469. Well, now the company is planning to go to public and get $1 billion in financing before it files for an Initial Public Offering (IPO). Actually, Royale is known for its OLED panels, hence it can easily compete with Samsung. It’s just that the company is looking to raise money. 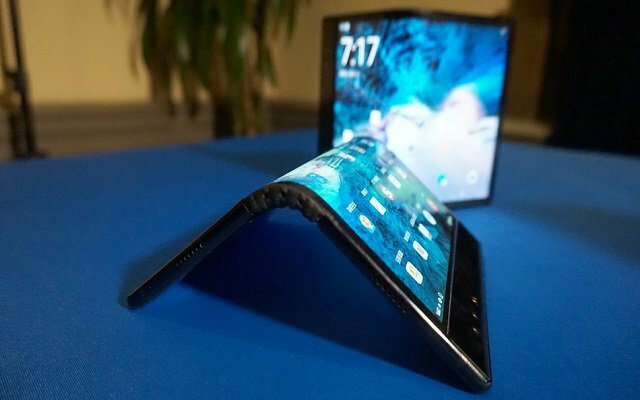 Maybe it is looking to launch some better foldable device from that budget. But if everything will keep on going like this, the monster mobile companies like Apple, Samsung and Huawei will take over it in no time.